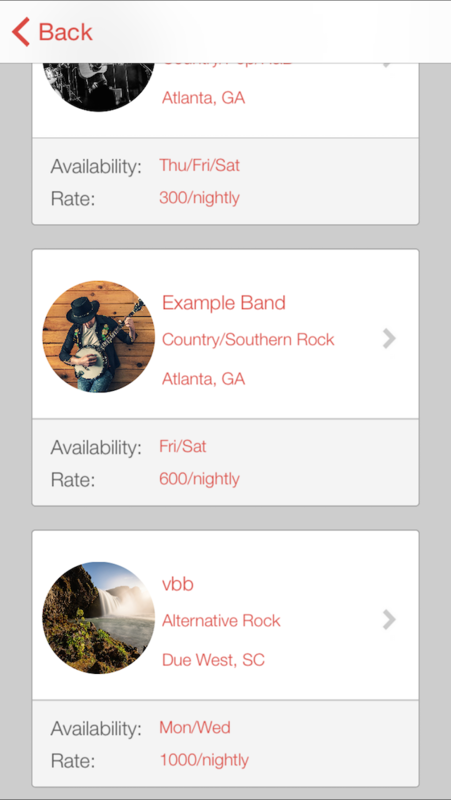 Build your profile as a Musician/Bar or Bar/Venue/Wedding Planner. 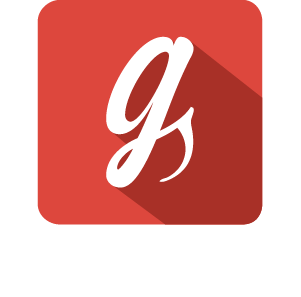 Search each other via Location, Genre, Availability, and Rate. Results displayed in order by location or rate. 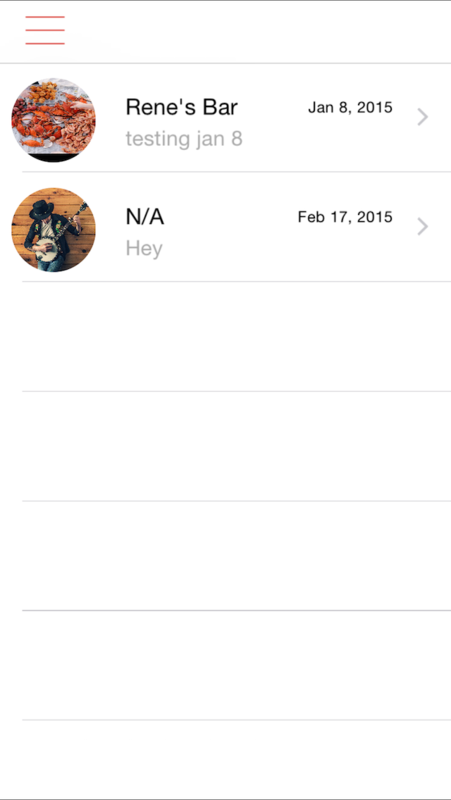 Easily look at profiles. 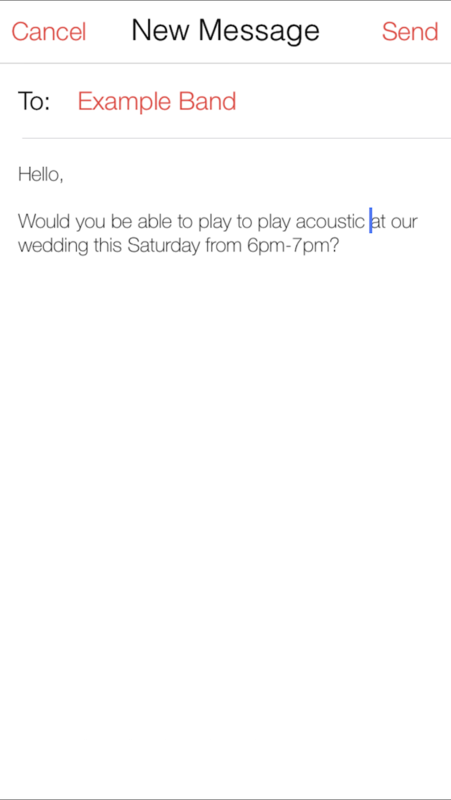 Message each other to book a date through the app. Notifications are enabled. 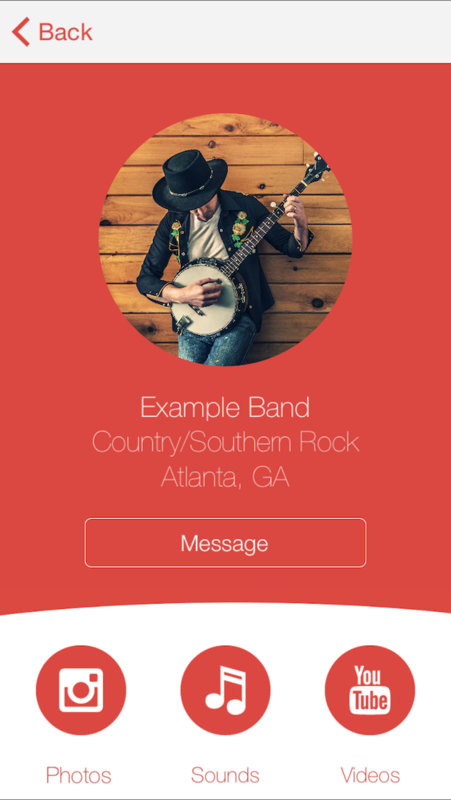 Your profile makes Getting-A-Gig hassle free by identifying who you are and what gigs you want. 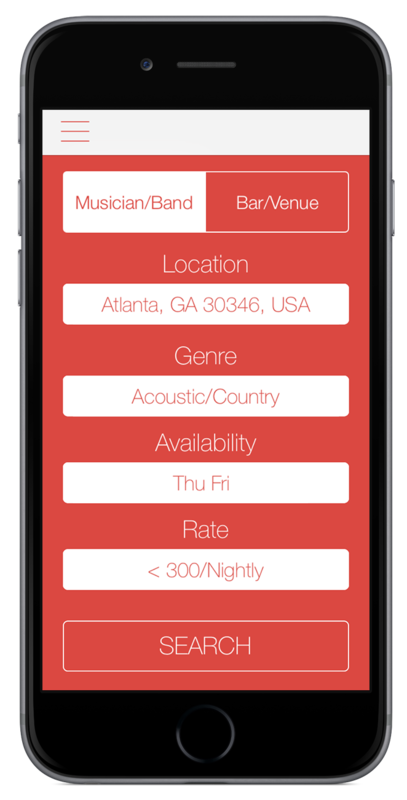 Just identify yourself - Musician/Band or Bar/Venue/Wedding Planner. 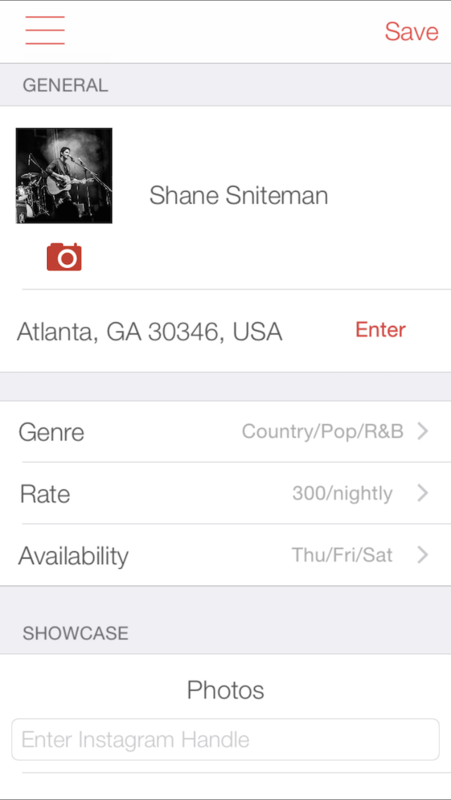 Put in your location, genre, availability, rate, and showcase information (or as many as you want). 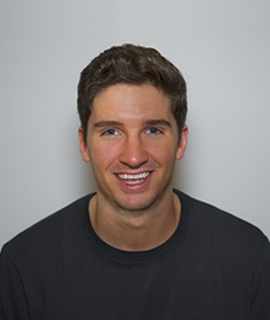 If you are an owner, you can search for talent without the constant phone calls or research. 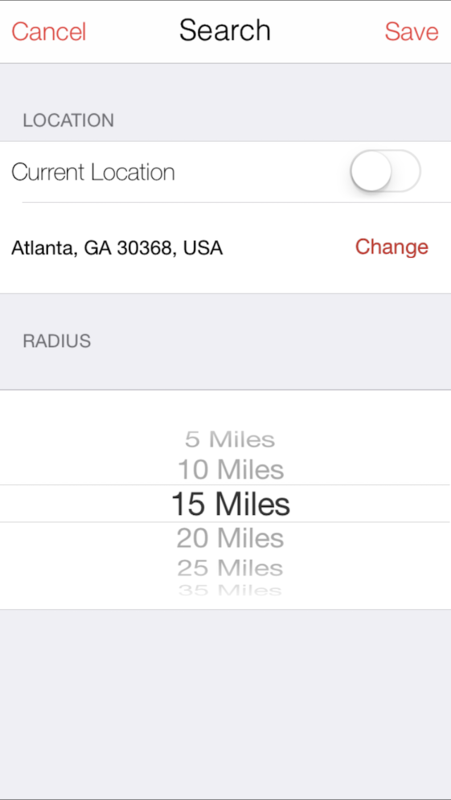 You have the ability to search via your location, genre, availability, or rate. 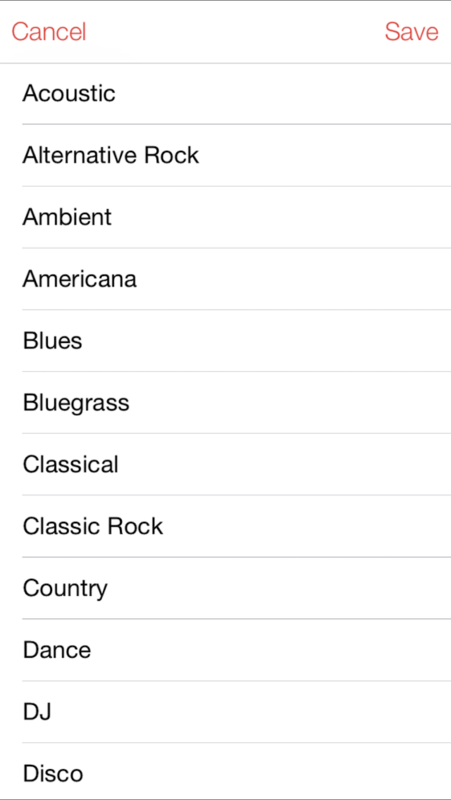 You can search via one or all four. Let's say you are bar owner wanting an acoustic player, within a 15 mile radius, on a Wednesday for under $200 a night. 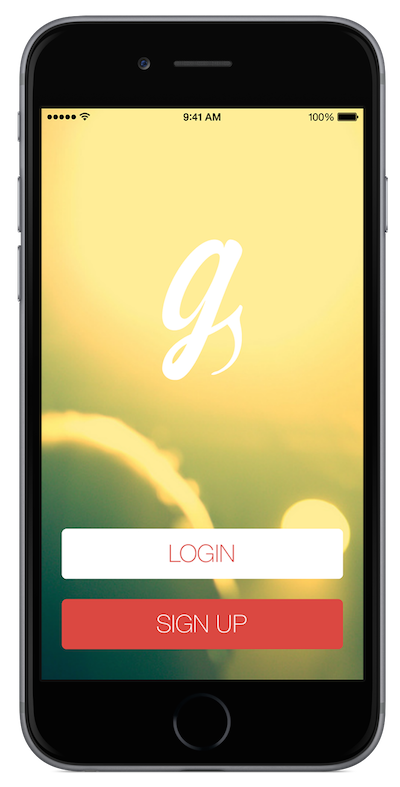 Get-A-Gig makes it easy to find that player. 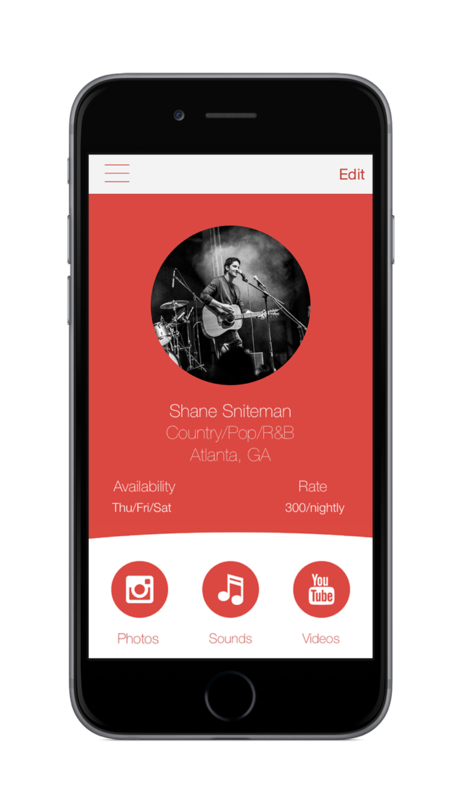 Scan through profiles and quickly listen to their music through the app. Lastly, message with an offer.